Eliminate Symptoms and Get to Optimal Health and Wellness! Christine T Lipat DC, CFMP, D.C.
J M Rathjen, D.C., is a chiropractor located in Honolulu, HI. Take the next step and contact Dr. J M Rathjen, D.C., for a consultation in Honolulu, HI or to get more information. Justin H Ako, D.C., is a chiropractor located in Honolulu, HI. Take the next step and contact Dr. Justin H Ako, D.C., for a consultation in Honolulu, HI or to get more information. Andrew J Matsukawa, D.C., is a chiropractor located in Honolulu, HI. Techniques: • Pierce Take the next step and contact Dr. Andrew J Matsukawa, D.C., for a consultation in Honolulu, HI or to get more information. Daniel Rodrigues, D.C., is a chiropractor located in Honolulu, HI. Take the next step and contact Dr. Daniel Rodrigues, D.C., for a consultation in Honolulu, HI or to get more information. Eric R Schaid, D.C., is a chiropractor located in Honolulu, HI. Techniques: • Diversified • Gonstead • Activator Methods • Cox • Manual Adjusting Take the next step and contact Dr. Eric R Schaid, D.C., for a consultation in Honolulu, HI or to get more information. Vu Nguyen, D.C., is a chiropractor located in Honolulu, HI. Take the next step and contact Dr. Vu Nguyen, D.C., for a consultation in Honolulu, HI or to get more information. Paul K Pestana, D.C., is a chiropractor located in Honolulu, HI. Take the next step and contact Dr. Paul K Pestana, D.C., for a consultation in Honolulu, HI or to get more information. Cermando Garza, D.C., is a chiropractor located in Honolulu, HI. Take the next step and contact Dr. Cermando Garza, D.C., for a consultation in Honolulu, HI or to get more information. Lawrence A Redmond, D.C., is a chiropractor located in Honolulu, HI. Techniques: • Diversified • Cox • Applied Kinesiology • Sacro Occipital Technique Take the next step and contact Dr. Lawrence A Redmond, D.C., for a consultation in Honolulu, HI or to get more information. Hidemasa Pakagi, D.C., is a chiropractor located in Honolulu, HI. Take the next step and contact Dr. Hidemasa Pakagi, D.C., for a consultation in Honolulu, HI or to get more information. Paris H.T. Oda, D.C., is a chiropractor located in Honolulu, HI. Techniques: • Diversified • Palmer Package • Active Release Technique • Motion Analysis (Palpation) • Activator Methods • Thompson • Massage Take the next step and contact Dr. Paris H.T. Oda, D.C., for a consultation in Honolulu, HI or to get more information. Ruth Soon, D.C., is a chiropractor located in Honolulu, HI. Take the next step and contact Dr. Ruth Soon, D.C., for a consultation in Honolulu, HI or to get more information. Richard J Rogachevsky, D.C., is a chiropractor located in Honolulu, HI. Take the next step and contact Dr. Richard J Rogachevsky, D.C., for a consultation in Honolulu, HI or to get more information. Thomas Iwashita, D.C., is a chiropractor located in Honolulu, HI. Techniques: • Diversified • Activator Methods Take the next step and contact Dr. Thomas Iwashita, D.C., for a consultation in Honolulu, HI or to get more information. Kurt A Mariano, D.C., is a chiropractor located in Honolulu, HI. Techniques: • Diversified • Cox • Trigger Point Therapy Take the next step and contact Dr. Kurt A Mariano, D.C., for a consultation in Honolulu, HI or to get more information. Charles M Gregory, D.C., is a chiropractor located in Honolulu, HI. Take the next step and contact Dr. Charles M Gregory, D.C., for a consultation in Honolulu, HI or to get more information. Robert R Holland, D.C., is a chiropractor located in Honolulu, HI. Take the next step and contact Dr. Robert R Holland, D.C., for a consultation in Honolulu, HI or to get more information. Scott T Hirashiki, D.C., is a chiropractor located in Honolulu, HI. Take the next step and contact Dr. Scott T Hirashiki, D.C., for a consultation in Honolulu, HI or to get more information. S. Andy Linn Shanti, D.C.
S. Andy Linn Shanti, D.C., is a chiropractor located in Honolulu, HI. Techniques: • Neural Organization Technique • Diversified • Activator Methods • Thompson • Sacro Occipital Technique Take the next step and contact Dr. S. Andy Linn Shanti, D.C., for a consultation in Honolulu, HI or to get more information. Bryan W.C. Luke, D.C., is a chiropractor located in Honolulu, HI. Techniques: • Diversified • Activator Methods • Sacro Occipital Technique • Thompson • Applied Kinesiology Take the next step and contact Dr. Bryan W.C. Luke, D.C., for a consultation in Honolulu, HI or to get more information. Hong Zeng Yuen-Schat, D.C., is a chiropractor located in Honolulu, HI. Techniques: • Diversified • Activator Methods • Sacro Occipital Technique • Thompson • Trigger Point Therapy Take the next step and contact Dr. Hong Zeng Yuen-Schat, D.C., for a consultation in Honolulu, HI or to get more information. Johnny Rosero, D.C., is a chiropractor located in Honolulu, HI. Take the next step and contact Dr. Johnny Rosero, D.C., for a consultation in Honolulu, HI or to get more information. Richard Y Nakasone, D.C., is a chiropractor located in Honolulu, HI. Take the next step and contact Dr. Richard Y Nakasone, D.C., for a consultation in Honolulu, HI or to get more information. Mitchel T Shimamura, D.C., is a chiropractor located in Honolulu, HI. Techniques: • Diversified Take the next step and contact Dr. Mitchel T Shimamura, D.C., for a consultation in Honolulu, HI or to get more information. Joseph Cardinalli, D.C., is a chiropractor located in Honolulu, HI. Techniques: • Diversified Take the next step and contact Dr. Joseph Cardinalli, D.C., for a consultation in Honolulu, HI or to get more information. David Suzuki, D.C., is a chiropractor located in Honolulu, HI. Techniques: • Diversified • Gonstead Take the next step and contact Dr. David Suzuki, D.C., for a consultation in Honolulu, HI or to get more information. Theresa T Bui, D.C., is a chiropractor located in Honolulu, HI. Take the next step and contact Dr. Theresa T Bui, D.C., for a consultation in Honolulu, HI or to get more information. Armando Garza, D.C., is a chiropractor located in Honolulu, HI. Take the next step and contact Dr. Armando Garza, D.C., for a consultation in Honolulu, HI or to get more information. Bill Pickard, D.C., is a chiropractor located in Honolulu, HI. Techniques: • Diversified Take the next step and contact Dr. Bill Pickard, D.C., for a consultation in Honolulu, HI or to get more information. 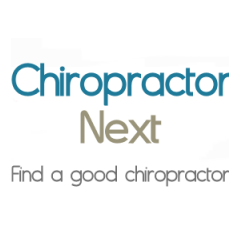 Chad H Sato, D.C., is a chiropractor located in Honolulu, HI. Take the next step and contact Dr. Chad H Sato, D.C., for a consultation in Honolulu, HI or to get more information. John T Rathjen, D.C., is a chiropractor located in Honolulu, HI. Techniques: • Gonstead • Cox Take the next step and contact Dr. John T Rathjen, D.C., for a consultation in Honolulu, HI or to get more information. Bruce K Wong, D.C., is a chiropractor located in Honolulu, HI. Techniques: • Gonstead Take the next step and contact Dr. Bruce K Wong, D.C., for a consultation in Honolulu, HI or to get more information. Robert Harrison, D.C., is a chiropractor located in Honolulu, HI. Techniques: • Diversified • Sacro Occipital Technique Take the next step and contact Dr. Robert Harrison, D.C., for a consultation in Honolulu, HI or to get more information. Sabrina A Ako, D.C., is a chiropractor located in Honolulu, HI. Take the next step and contact Dr. Sabrina A Ako, D.C., for a consultation in Honolulu, HI or to get more information. Michael Kahue, D.C., is a chiropractor located in Honolulu, HI. Take the next step and contact Dr. Michael Kahue, D.C., for a consultation in Honolulu, HI or to get more information. Christopher Kaliko Piianaia, D.C., is a chiropractor located in Honolulu, HI. Techniques: • Diversified • Gonstead • Activator Methods • Trigger Point Therapy Take the next step and contact Dr. Christopher Kaliko Piianaia, D.C., for a consultation in Honolulu, HI or to get more information. Steve Awakuni, D.C., is a chiropractor located in Honolulu, HI. Take the next step and contact Dr. Steve Awakuni, D.C., for a consultation in Honolulu, HI or to get more information. Gary Tanksley, D.C., is a chiropractor located in Honolulu, HI. Techniques: • Diversified • Cox • Activator Methods Take the next step and contact Dr. Gary Tanksley, D.C., for a consultation in Honolulu, HI or to get more information. Keith I Tamura, D.C., is a chiropractor located in Honolulu, HI. Techniques: • Gonstead Take the next step and contact Dr. Keith I Tamura, D.C., for a consultation in Honolulu, HI or to get more information. Grady A Deal, D.C., is a chiropractor located in Honolulu, HI. Techniques: • Trigger Point Therapy • Total Body Modification • Manual Adjusting • Massage-Body Work Take the next step and contact Dr. Grady A Deal, D.C., for a consultation in Honolulu, HI or to get more information. Brian Kim, D.C., is a chiropractor located in Honolulu, HI. Techniques: • Gonstead Take the next step and contact Dr. Brian Kim, D.C., for a consultation in Honolulu, HI or to get more information. Dale K Yamauchi, D.C., is a chiropractor located in Honolulu, HI. Techniques: • Chiropractic Biophysics • Diversified Take the next step and contact Dr. Dale K Yamauchi, D.C., for a consultation in Honolulu, HI or to get more information. Stewart Katsura, D.C., is a chiropractor located in Honolulu, HI. Techniques: • Diversified • Activator Methods Take the next step and contact Dr. Stewart Katsura, D.C., for a consultation in Honolulu, HI or to get more information. Randy R Collins, D.C., is a chiropractor located in Honolulu, HI. Techniques: • Diversified • Soft Tissue Orthopedics • Physical therapy modalities Take the next step and contact Dr. Randy R Collins, D.C., for a consultation in Honolulu, HI or to get more information. Howard Tang, D.C., is a chiropractor located in Honolulu, HI. Take the next step and contact Dr. Howard Tang, D.C., for a consultation in Honolulu, HI or to get more information.